Everyone wants healthy teeth and a beautiful smile. That’s why it is important to keep a good oral hygiene. If you do not take care of your teeth you are more likely to get dental problems such as plaque, tartar, tooth decay and gingivitis, just to mention a few. The most important advice any dentist would give you is to brush your teeth twice a day and to do regular dental check-ups. Our dentist at Tandcity in Malmo gives you 5 great oral hygiene that will help you get stronger and longer lasting teeth. The most import advice to ensure a better oral hygiene is, without a doubt, to brush your teeth twice a day. But brushing your teeth is not always good enough. We recommend that you visit your dentist at least twice a year in order to reduce the risk of more serious dental problems. During your dental check-ups your dentist will examine your teeth and take x-ray photos in order to discover possible severe dental problems, such as mouth cancer. Your dentist will also remove tartars and reduce the risk of tooth decay. As mentioned earlier, the easiest and probably the most important way to ensure a good oral hygiene is to brush your teeth twice a day. When you brush your teeth you should hold the toothbrush in a 45 degree angle brush close to your gum. Also brush both the inside and outside area of your teeth, using back and forth and up and down movements. But be careful and don’t brush to hard. Otherwise you might bleed from your gum. It is also advised to brush your tongue in order to remove and reduce bad breath. Another effective tip that our dentist in Malmo recommends for a better oral hygiene is to use dental floss. Unfortunately, most people today often skip this part in their daily routine. But using a dental floss after brushing your teeth can help you remove bacteria and small particles, which a regular toothbrush cannot remove. Dental floss also reduces the risk of plaque. As a result, you should always use dental floss at least once a day. Using a mouthwash is not always necessary and there are many products on the market that are not very effective. However, with the right product you can imporve your oral hygiene. But ensure that the mouthwash that you are using contains listerine and/or chlorine dioxide as these ingredients effectively removes bacteria that can cause severe dental problems. At the same, mouthwash can also eliminate bad breath. Using a professional tongue scraper after brushing your teeth can remove numerous bacteria and left-overs, which would otherwise stay on your tongue. Not only can these bacteria cause bad breath but they could also cause severe dental problems such as plaque and gingivitis. Using a tongue scraper is easy. Simply pull out your tongue and start scraping it, from the back and all the way to the front. But be careful and don’t press to hard, otherwise you might trigger your gag reflexes. Finally rinse your mouth with water. 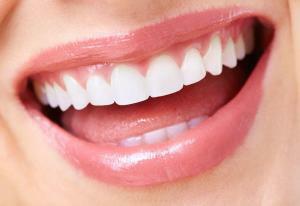 If you have any question regarding your oral hygiene please visit our dentist in Malmo or contact us today. We are more than happy to help.